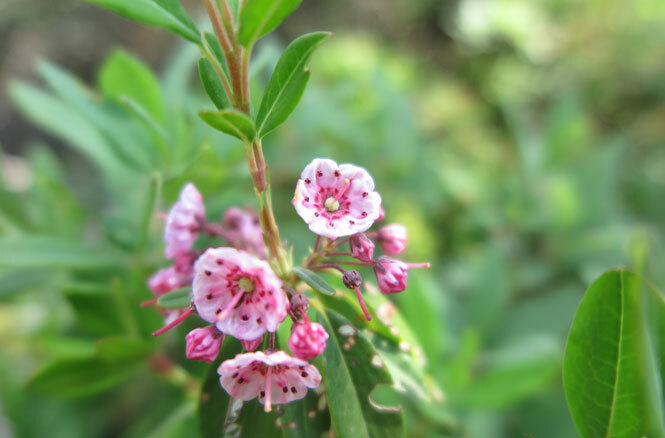 In addition to blueberries, the abundant sheep laurel is part of the Berry Picker’s Trail experience. 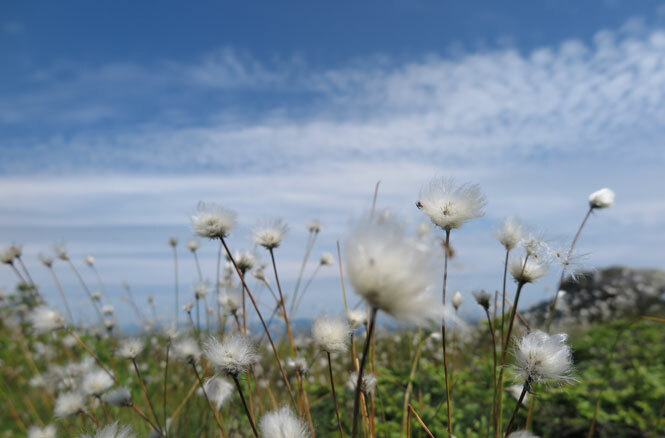 For over 150 years, those lucky few with local know-how have been climbing the eastern side of Maine’s Saddleback Mountain to gather blueberries and mountain cranberries. 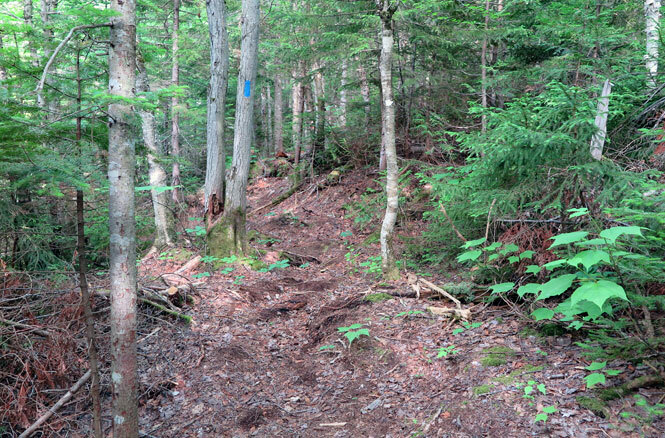 Now, the rest of us can enjoy this hike, too, thanks to the Maine Appalachian Trail Land Trust’s creation of the Berry Picker’s Trail, opened in 2016. 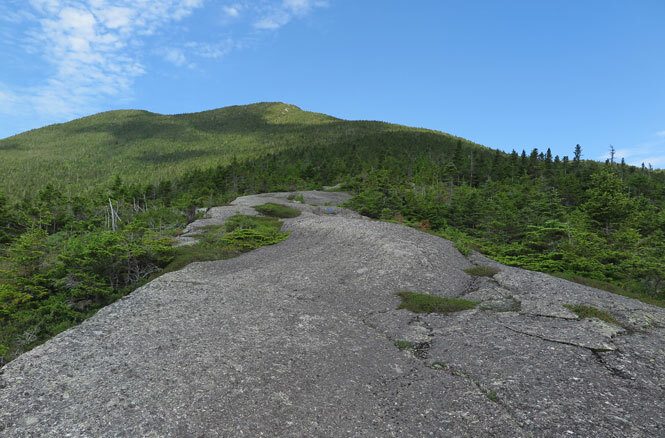 To hike the Berry Picker’s Trail is to step back in time and enjoy one of Maine’s magnificent 4k mountains before the toll of thousands of footsteps has eroded the tender soil into a deep-grooved trail filled with rocks and roots. 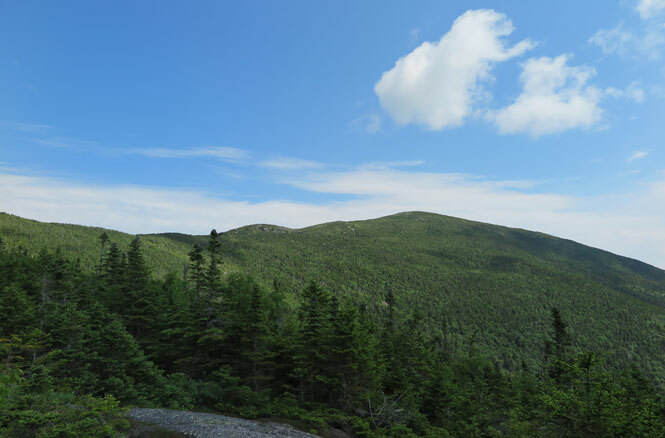 Once onto the AT, it’s 0.9 miles NoBo to The Horn (elevation 4,041 feet; approximate elevation gain another 500 feet), or 0.7 miles SoBo to the Saddleback summit (elevation 4,116 feet; approximate elevation gain another 600 feet). So, a round trip hike including both the Horn and the Saddleback summit will run you (bear with me while I crunch the numbers, math was never my strong suit) 9.4 miles, feature approximately 2,962 feet of elevation gain, and take 6-8 hours. Recommended gear: hiking boots or trail runners, trekking poles, sunscreen due to the ample out-in-the-open hiking, and plenty of water, of course. The link above will give you Google directions from your present location, but this one also deserves written instructions as finding the trailhead is half of the adventure. Start by traveling to Route 4 in Madrid, Maine. From the “center” of town, turn onto Reed’s Mill Road (on the right coming from Farmington, left from Rangeley); after that, you’ll cross a one-lane bridge over the Sandy River. Follow Reed’s Mill Road for three miles and cross another bridge. Immediately after the bridge, turn left onto a dirt road. The dirt road has a split to it at the beginning (one path is the drive for a house), so stay to the left. The quality of the road probably changes from year to year depending on maintenance and weather conditions. I found it travellable, but a little worse for wear than other online descriptions lead me to believe. There were grooves, rocks, and at one point a completely exposed plastic culvert that we crossed our fingers and drove over. It appeared as though the road received more ATV traffic than anything. You’ll want to have an AWD vehicle with good ground clearance. After 3.1 miles you’ll come to a triangular intersection with an island in the middle. Turn left here, and just around the corner you’ll see a gated ATV route on the right, which is where the walking begins—or, bringing a mountain bike for this portion would make the return trip more fun. 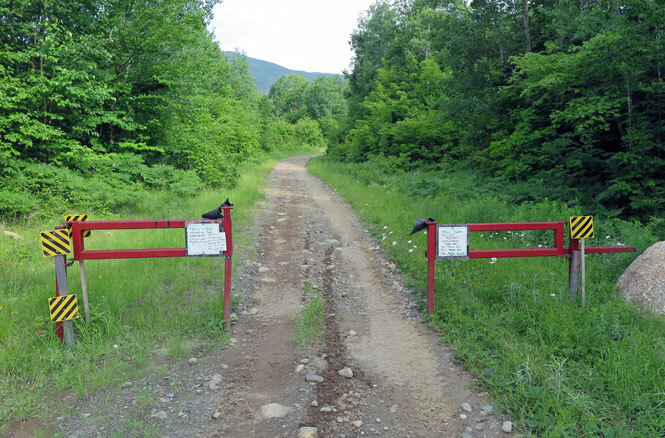 Follow the gated ATV path for 0.9 miles with 255 feet of elevation gain to the Flyrod Crosby Trail, a work-in-progress trail that when completed will cover 45 miles from Strong to Oquossoc. Turn left onto the Flyrod Crosby Trail; ignore the mileage on the sign shown below—that’s for following the Flyrod Crosby Trail around the mountain to the Saddleback ski resort. Who’s he? You might ask. For starters, he was a she. Cornelia “Fly Rod” Crosby was a badass outdoorswoman and writer who championed outdoor tourism for Maine and the Rangeley Lakes Region. 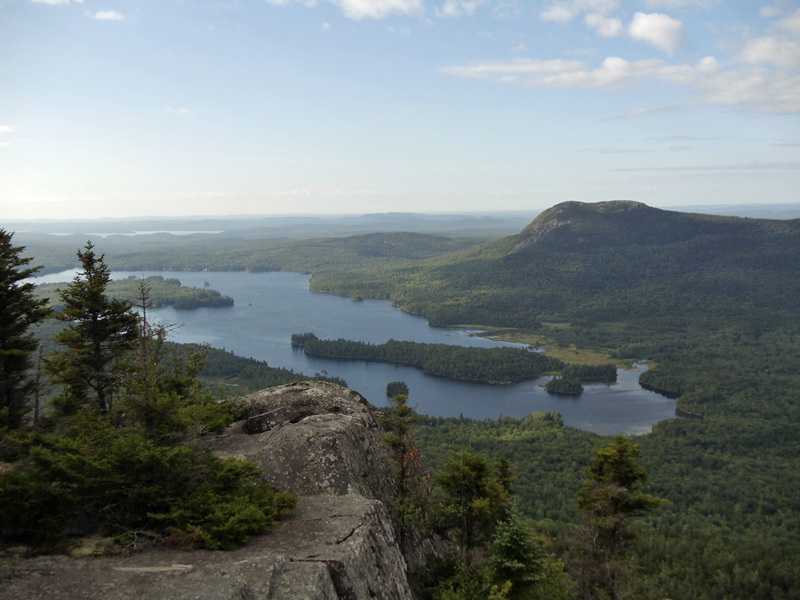 She encouraged legislation to create licensed Maine guides, and Crosby received license number one. An early proponent of catch-and-release fishing, she is famously quoted as saying, “I would rather fish any day than go to heaven.” In other words, if time travel were possible, she’s someone with whom you’d want to grab a beer. 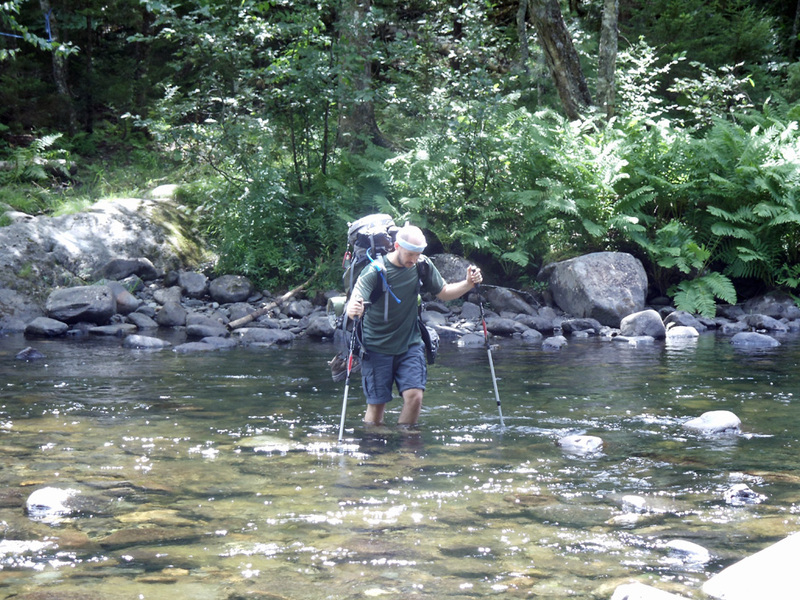 Follow the Flyrod Crosby Trail for 0.4 miles to the trailhead of the Berry Pickers Trail, which will be on the right. Starting elevation at the trailhead is 2,145 feet, and you will have gained 352 feet getting here. 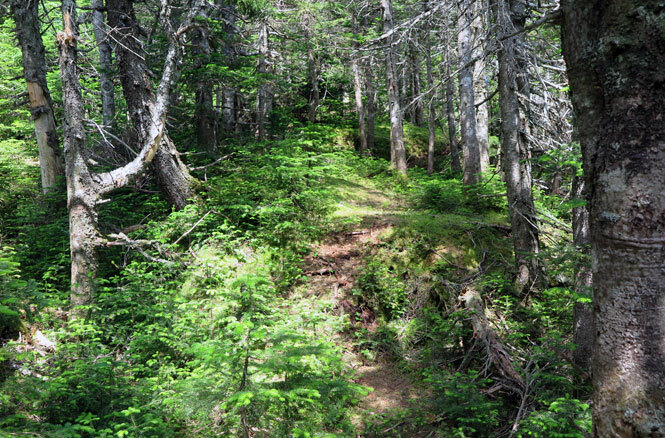 The Berry Picker’s Trail begins its Saddleback Mountain approach along Winship Stream in a lush mixed forest. Enjoy the relaxing melody of rushing water and singing birds. The trail soon turns away from the stream and begins climbing a lower shoulder of the mountain with a few moderately steep pitches. 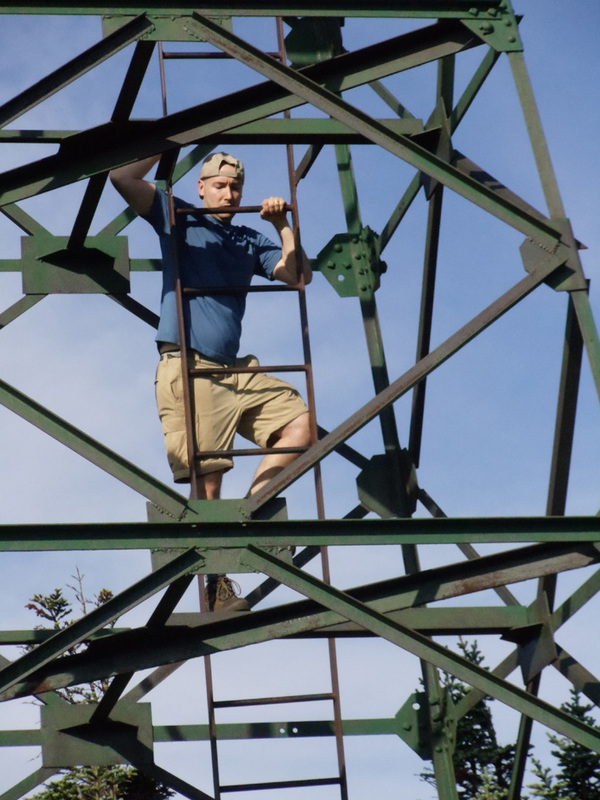 I often find myself racing up the lower portions of trails like a mountain-craved junkie looking for my next majestic-view fix—but that wasn’t the case on the Berry Picker’s Trail. 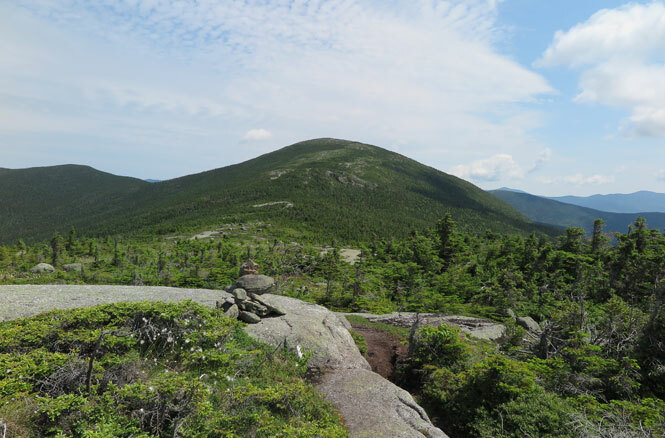 The Maine Appalachian Trail Club (along with the support from other organizations and numerous volunteers), has done a wonderful job creating this trail. The newness of it all, a refreshing change of pace from the aged, dug-in trails typically accompanying 4k mountains, had me savoring each step. It also helped that I had the trail all to myself. 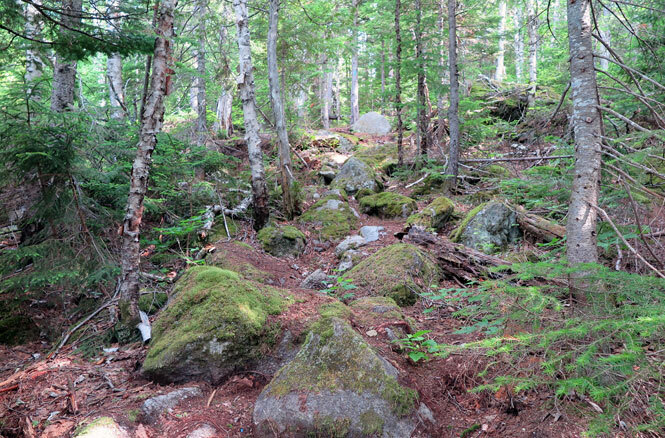 The trail eventually transitions to a granite surface as it begins to open up from the forest. 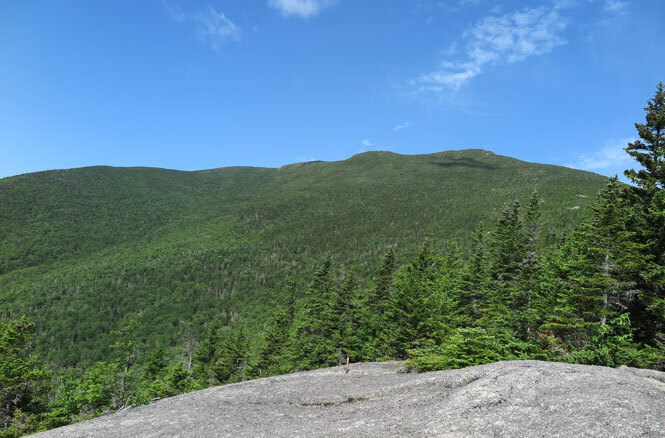 0.9 miles into the Berry Picker’s Trail, 2.3 miles of total hiking and 1,047 feet of elevation gain, is Boundary Ledge at an elevation of 2,848 feet. 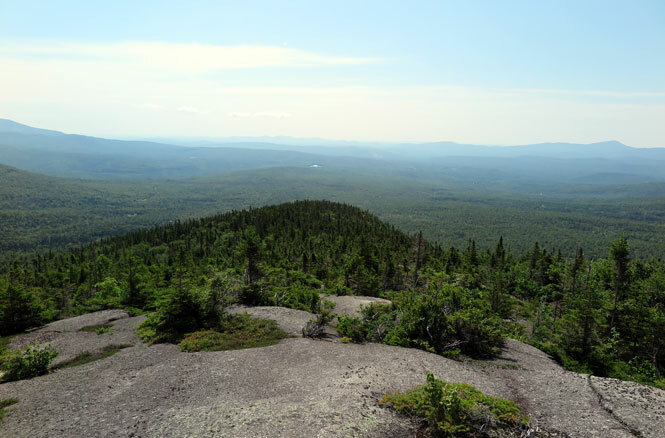 Shown here is the view of the Saddleback range from Boundary Ledge, named for its location along a property line. 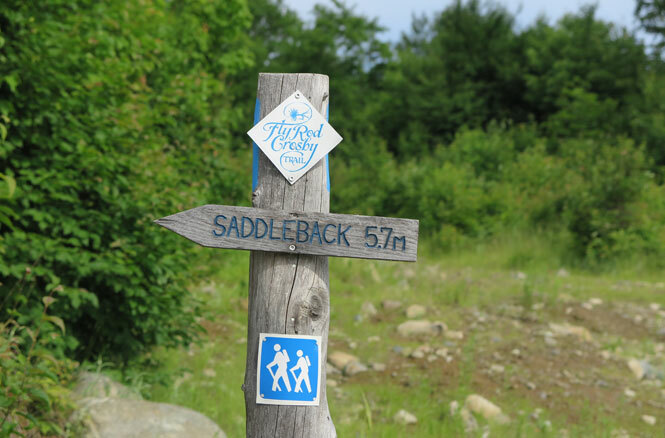 The hiking through this section is exceptional and overall easier than what you would expect for Saddleback. 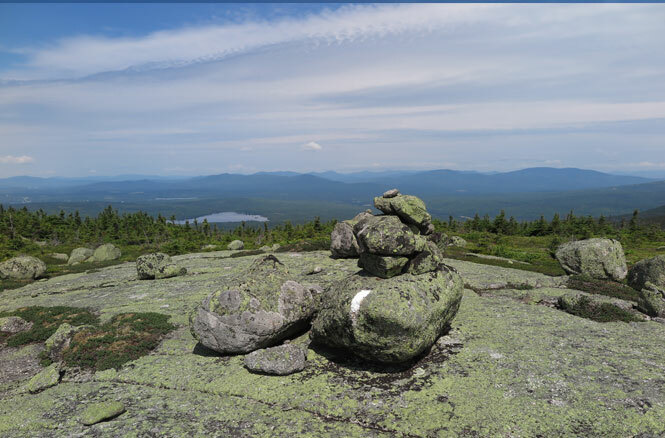 Note that the granite doesn’t have the yellow stain of foot traffic worn into it to help guide the way, so you’ll want to pay close attention to the blazes and cairns. There was one spot in particular where I passed a cairn on the non-blazed side and nearly missed a turn. Of course, there’s no shortage of scenery, either. Here we’re looking down over the shoulder from the beginning of the hike. Not shown in this shot are views of Mt. Abraham to the left. A closer view of The Horn. 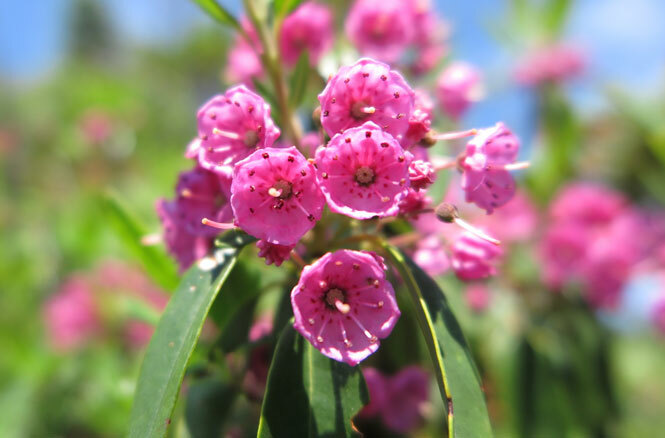 Did I mention I love sheep laurel? 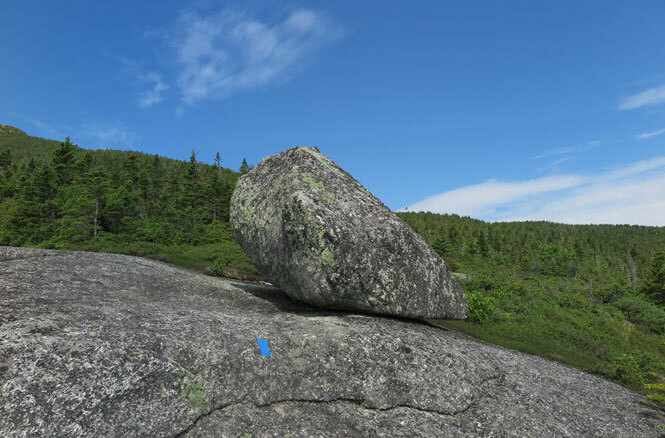 The Erratic, otherwise known as “a rock misplaced by a glacier,” is a milestone denoted on the Bery Picker’s Trail signage. 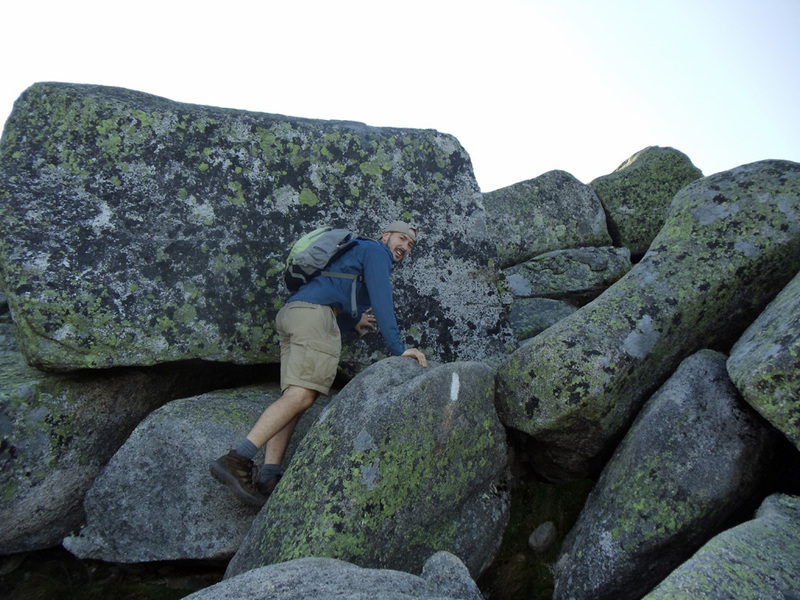 As far as glacial erratics go, this one is undersized at best, and could probably use a Swedish pump to boost its ego. 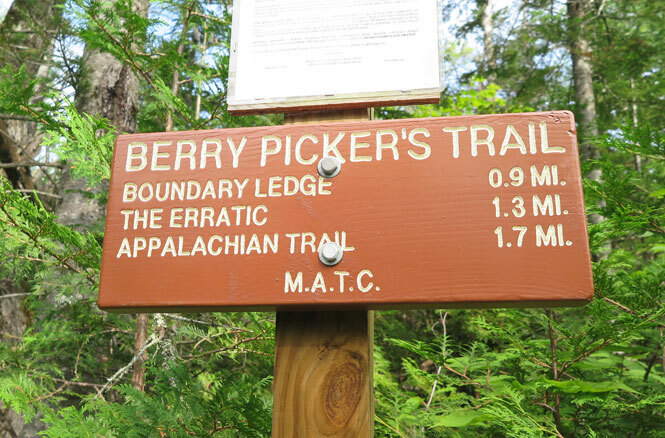 As for a trail stat check-in: the erratic is reached at 1.3 miles into the Berry Picker’s Trail, which is 2.7 miles of total hiking, and an elevation of approximately 3,314 feet with 1,568 feet gained. 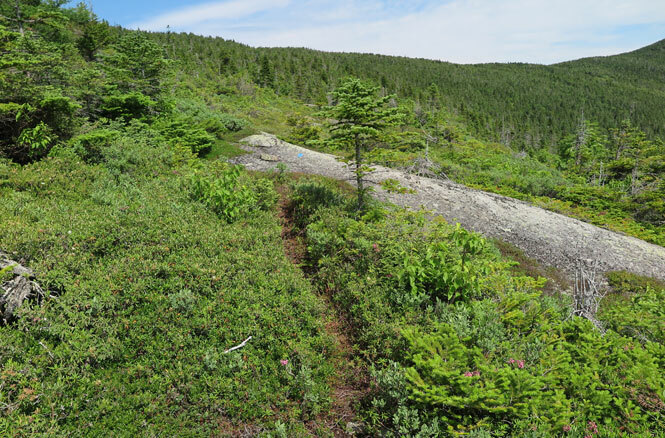 From the Erratic, the trail turns right through the sheep laurel and berry bushes before returning to the cover of trees for the final 0.4-mile climb to the Appalachian Trail intersection. 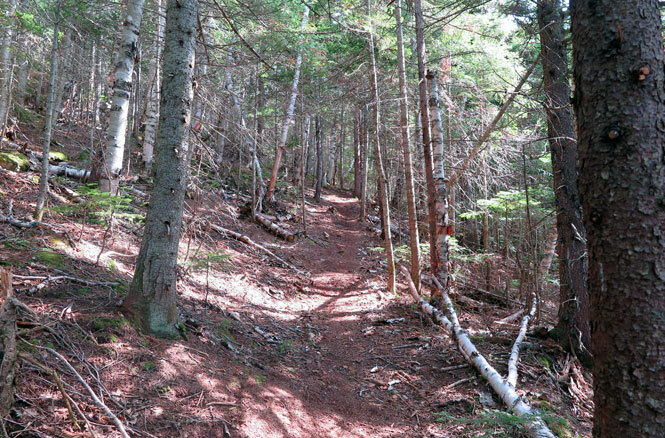 The final climb to the Appalachian Trail is relatively easy, ascending roughly 300 feet. 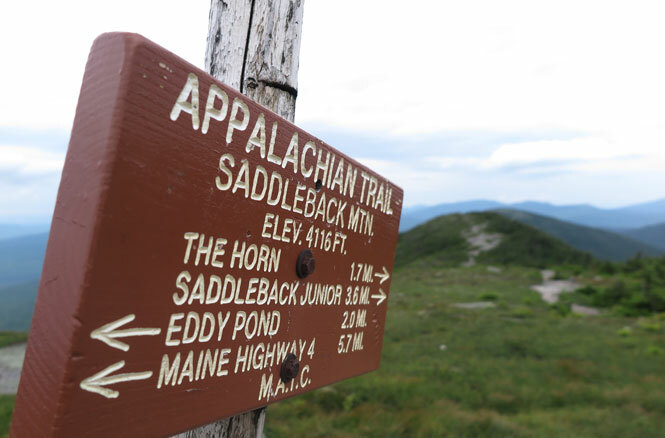 The AT is reached almost by surprise in a sheltered part of the col between the Saddleback summit and The Horn, in an area where hikers often take refuge in storms. The sheltered intersection quickly bursts into the open in either direction. This shot was taken heading NoBo toward The Horn. 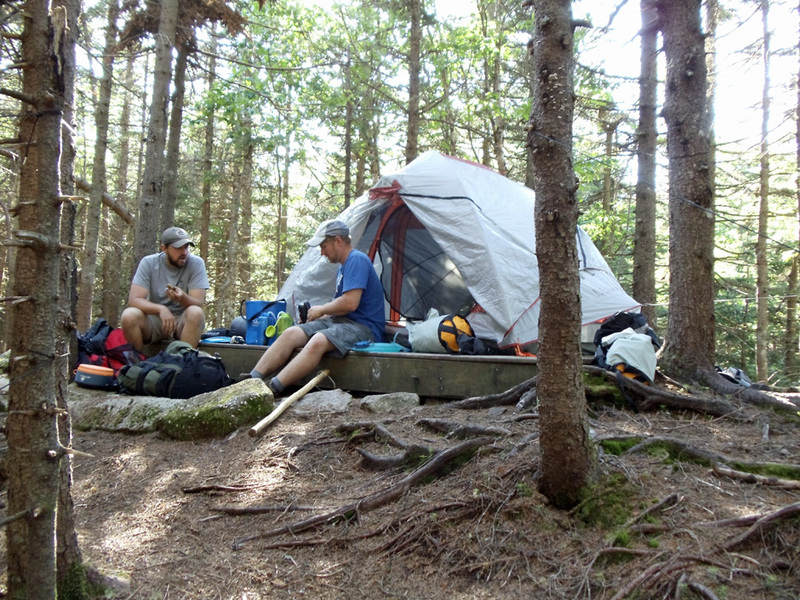 Once onto the AT, it’s 0.9 miles NoBo to The Horn, which has a total elevation of 4,041 feet and an approximate elevation gain of 500 feet. 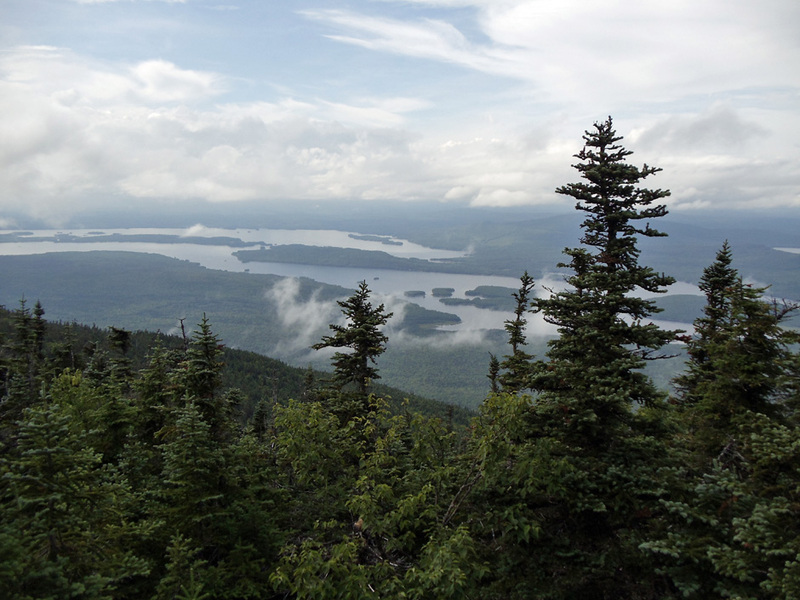 This stretch ducks in and out of the spruce trees with a lot of exposed hiking. 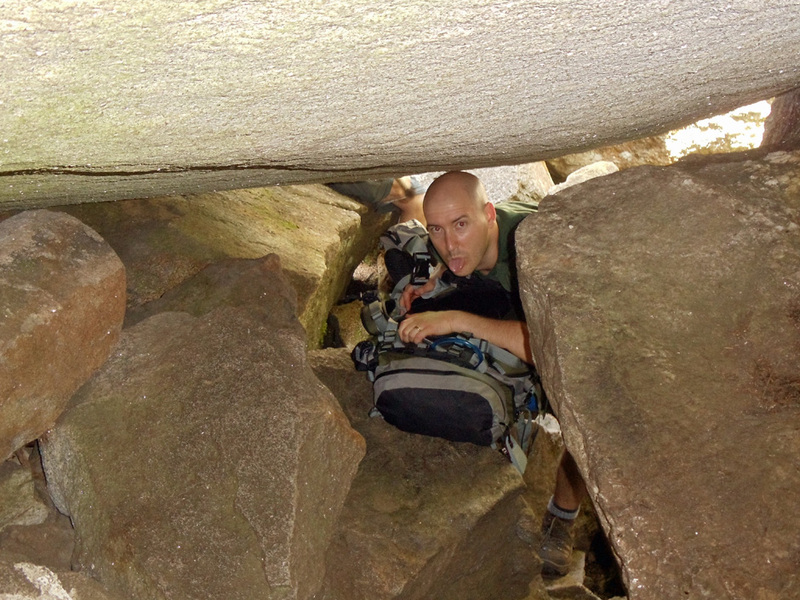 There are also several steep rock scrambles and at one point a short metal ladder. 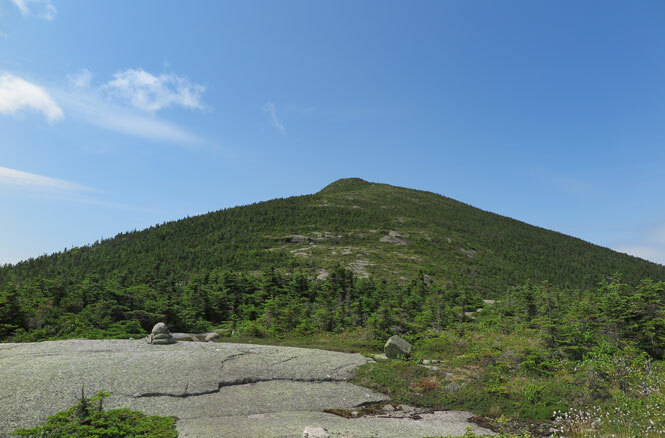 The AT SoBo climb to Saddleback Mountain’s summit nearly mirrors the stretch to The Horn; except the rock scrambles are a little steeper in this direction. From the col intersection, it’s another 0.7 miles SoBo to the Saddleback summit with roughly 600 feet of elevation gain. 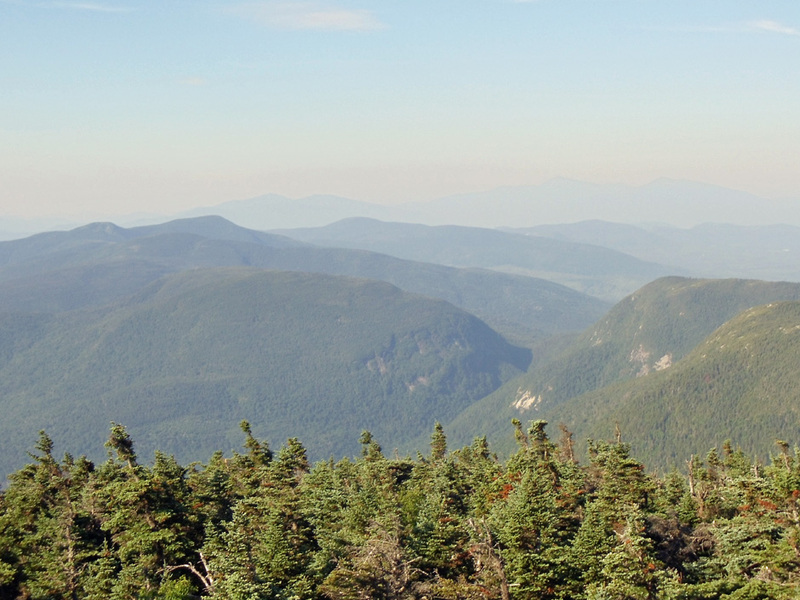 The Saddleback summit has a total elevation of 4,116 feet. My uncle, Clem Worcester, once served as a fire warden on Saddleback Mountain. This image of the summit tower and warden cabin is believed to have been taken by Clem in 1965. The photo is courtesy of his daughter, Jenny Tirrell.